Been a LONG time since ive logged in. Been super busy with finals at school and havnt had internet access either. But I have been busy with the car as well . Fully rewired the dashboard to work the way i want ( and hey guess what? no smoke or fire LOL). worked my way to the engine bay and am about 95% done with the engine wiring harness. Ill have some pics up soon, my phone is down and i cant get them to my email currently. If anyone is considering doing this looking at this thread, INVEST IN A SERVICE MANUAL! Itll be a life saver and will make the job infinitely easier. So far this has been WAY easier than i was expecting. I also turned the "SERVICE ENGINE SOON" lamp into a charge light since our cars didnt come with them. SO with Key On Engine Off the lamp will be on, but key on engine on the light will be off. If anyone has any questions on this electrical stuff while i have it apart go ahead and shoot me a message and ill help you out. Glad to see its still going forward. School is hampering my progress as well, I know what you're talking about! Well its going to be a good while before I can make any progress on the car or the thread. I was in a major car wreck about 5 weeks ago and unable to do anything with cars. My friend and I (friend driving) were t-boned at 60mph and rolled for 110 ft. My friend only got a srape on his forehead. I was not so lucky as the vehicle that hit us was on my side. I had my right lower leg broken and had a titanium rod put in. I alos have a fractured right ankle, left knee, 3 vertabrae, and right cheek bone. Possibly a couple fingers lol. I had to go to an ICU because my lungs reacted to the trama in a potentiolly fatal way and I couldn't get oxygen. I pulled thru that and just need my bones to heal and strength to come back. Until then the car, and thread have to sit. We were in a 77 280Z, and were hit by an S10 who ran a stop sign. Pretty much just saying this thread isn't dead but it won't be updated for a while. Wow that is a mess, those cars are cramped enough before. hope you make a full recovery and the S10 driver had insurance. the driver of the S10 had no insurance, revoked license, and history of DUIs. They don't enforce this stuff very well in Montana. We actually rolled into an oncoming car and my buddy and I were the only ones out all 3 cars (both of us 19 btw) to have insurance. Montana has one of the highest percentages of uninsured drivers in the country. Sorry for your troubles. Hope you heal completely without disability. Well everyone I'm back and functional and have income again. Just did head gaskets on my DD Explorer and am look at this lil red car again. Have my engine mounts getting finished and trying to get my brake line situation figured out. Should have some pics up in a week or so hopefully. Can't wait to see how this gets done! and thanks to everyone for your kind words on my wreck and recovery btw. shouldve been the first thing i posted, appreciate it all! I had to double-take this picture soooo many times...that just looks unreal. It looks like it was pulled out of the scrapyard crusher. Dude, you were blessed!!! Glad your doing okay and back at doing what you love. Thank you man. I was in pretty rough shape when i got to the hospital. The roof looks way worse than it really was because this pic was taken after the roof was cut off to extract me (the car was on its side when i woke up with the paramedics). But we were speeding, and the guy that t-boned us was speeding and blew thru a stop sign, so either way there was a lot of force going thru that car. Started tearing apart my TH400 a few days ago, idk how many people know how to tear into automatics so ill post pics of is as i go. Its from a 60s Oldsmobile. apparently they ran the speedo off of the wheels instead of the output shaft. Well i was super optimistic about today thinking id get alot done on my car, and that all fell on its face. 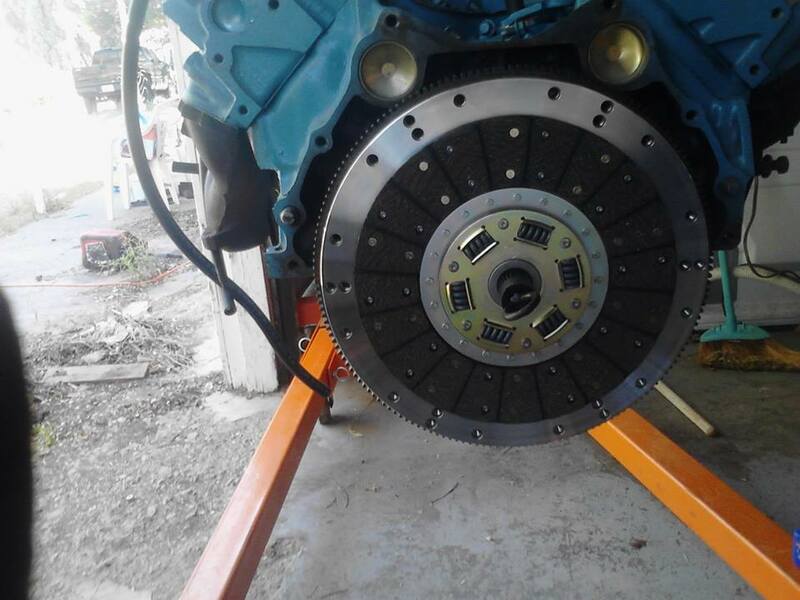 I went to go test fit my spare 400 block only to find out that i was a lil off on my measurements. That and i completely forgot about the lil 3/8 12pt screw that goes into the center support on the Hydramatic, searched thru the entire garage and all i have is 6pts . 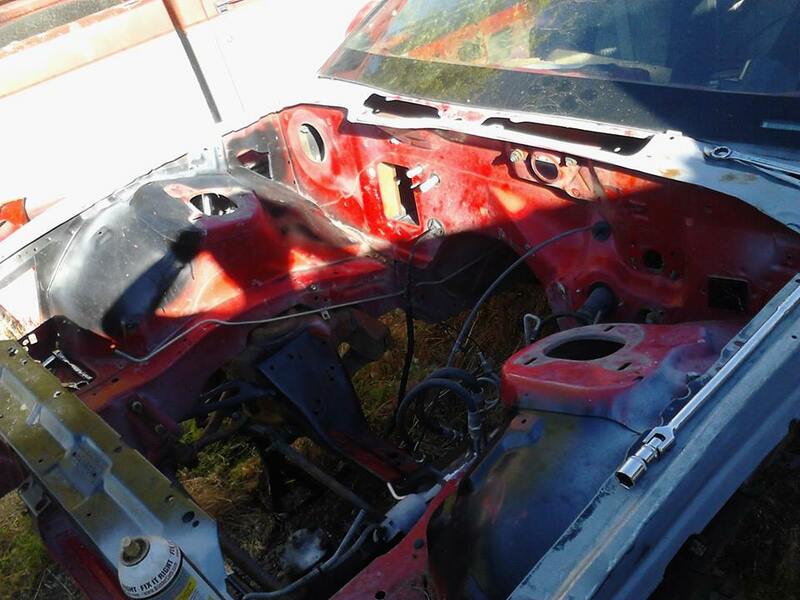 I am also planning to do a Pontiac 400 swap so thanks for posting. The other threads on this swap were pretty old. 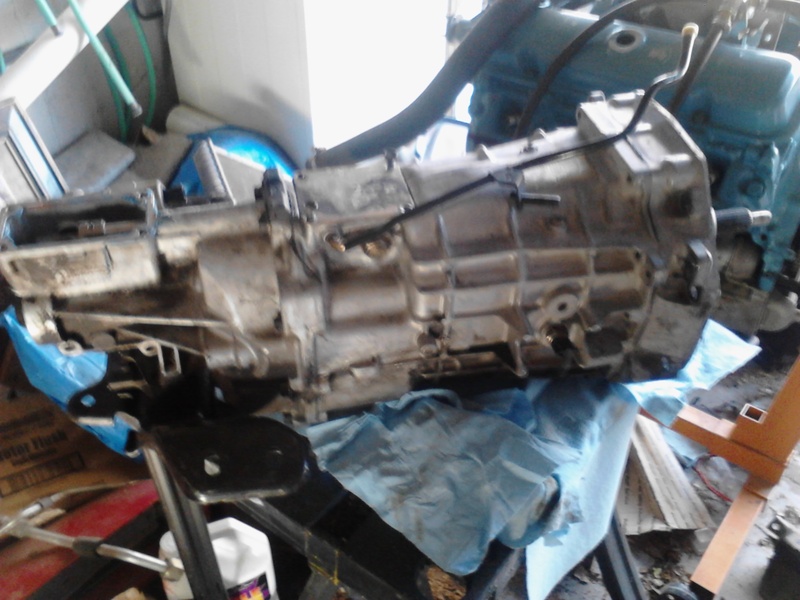 I am also gathering parts to swap from an auto to manual trans and would like to go with a TKO 6 speed trans. From what I understand, the stock manual trans bolts to the engine at an angle. Will I need some sort of adapter plate? I hope to start my swap around the first of the year. I look forawrd to seeing your thread. As for transimission, I'm not quite sure what you mean by adapter plate, can you expand? the only thing I can advise as I havnt really made any notable progress, is to buy a Pontiac service manual for the year of car you're working with from online. With the engine, you'll prolly need a remote oil filter adapter, because from what I've seen with my engine is that the stock oil filter location is blocked by the passenger side A-Arm mount. 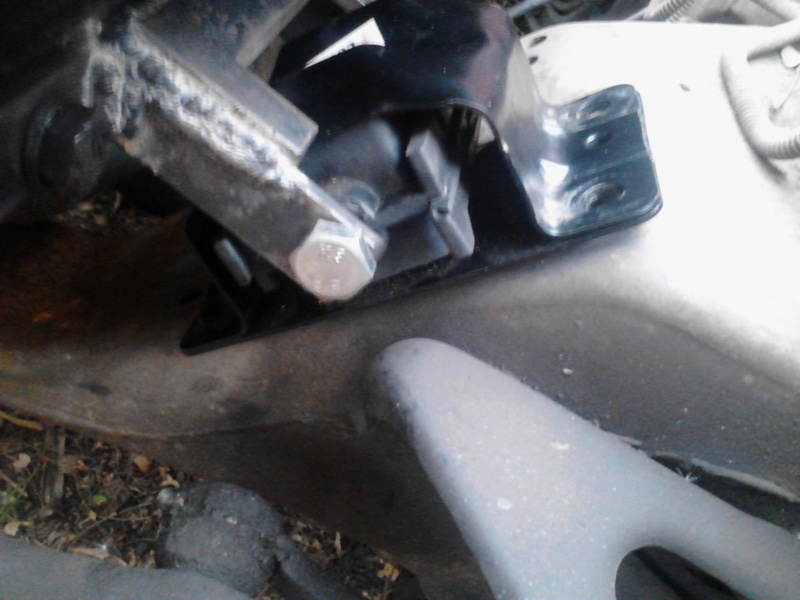 And custom engine mounts (I'm making some in my welding class, ill show how well it works if it does at all lol). My biggest fear is the hood, because I love the contours of the factory hood, and I hate cowls, but ill cross that bridge when I get there. I'm not sure how many measurements you have, but I have quite a few id be willing to share. I've read in this message board that the stock manual transmission mounts at an angle. Clocked offset to the engine. No one can explain it but some have said it was for clearance. 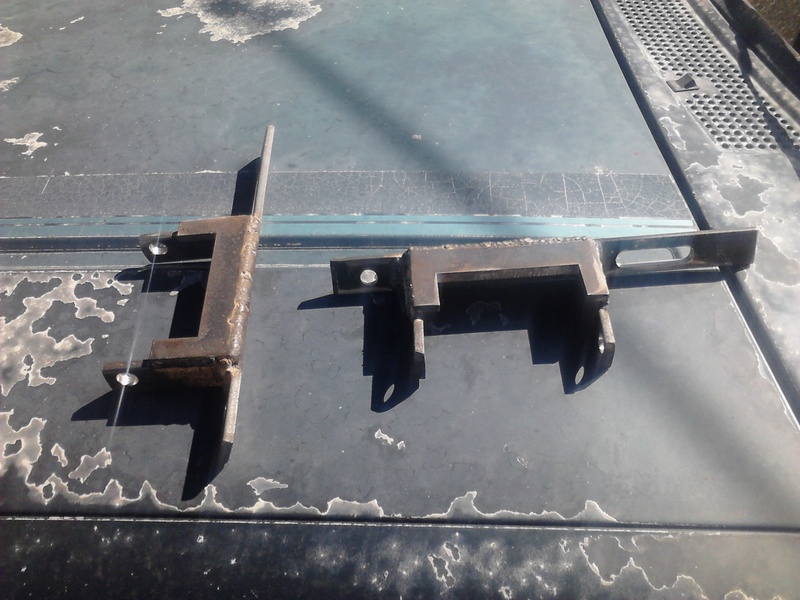 I would think this requires a special bellhousing so a stock Pontiac manual transmission bellhousing wont work so some sort of adapter plate might have to be used. I hope that is not the case. I will research it more once I get closer to doing the swap. Others have said that the stock mounts will work if you drill new holes where they mount to the frame. Not the case? WI've heard that too with the T5s possibly, I always assumed it was for ujoint operating angle. I didn't even think it might be an issue. You'll have to let me know as I'm going with a th400 because I don't have 2k to drop into a tko xD. As for mounts it seeemed to sit way too far up to me. I'm basing my measurments off of where the SBC crank centerline was at in relation to the crossmember and building mounts to match that spec with the 400. I didn't feel comfortable drilling holes into the crossmember as well, so I figure id make additional parts to fit the present set up instead of altering the vehicle. 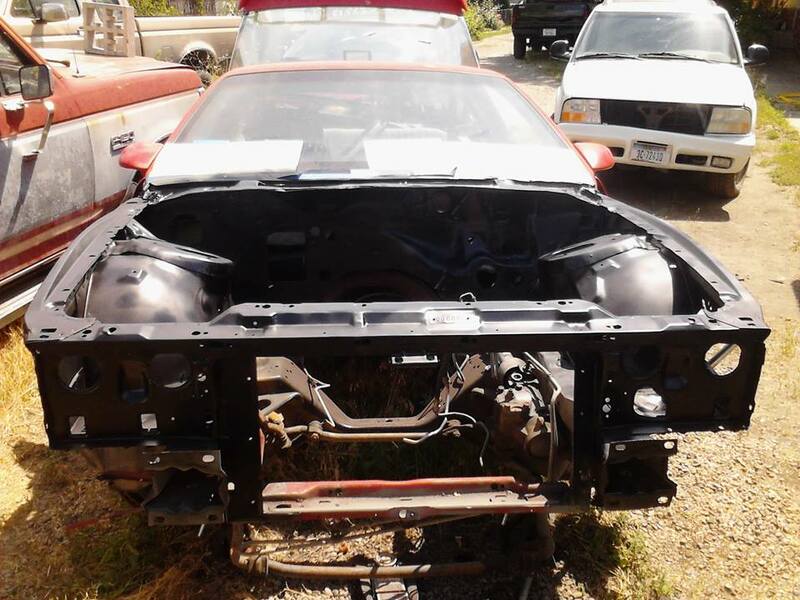 Basically I've heard it too that I can drill in some new holes, but between getting some insight from KrisW here on the forums and compareing it to my friends 89 tpi, it seemed to sit way to far up in the engine bay. I guess i t really depends on preference of set up. 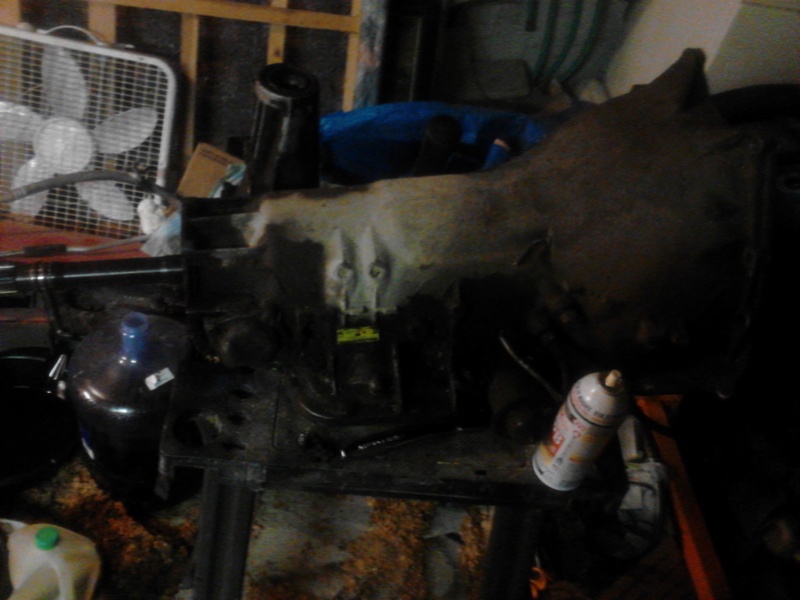 EDIT: the crank center line measurment I had gotten from KrisW was 6 3/4 inchs from the welded seam on the crossmember. The center of the holes on brand new rubber mounts is 6 inches up fromthe seam. Last edited by firechicken1992; 11-03-2013 at 09:57 PM. Still watching with great interest! I want to get one of these done badly on my car as well. Nice build so far!!!! the 400 drop in isnt that, bad headers can be a pain in the *** though lol goodluck!! 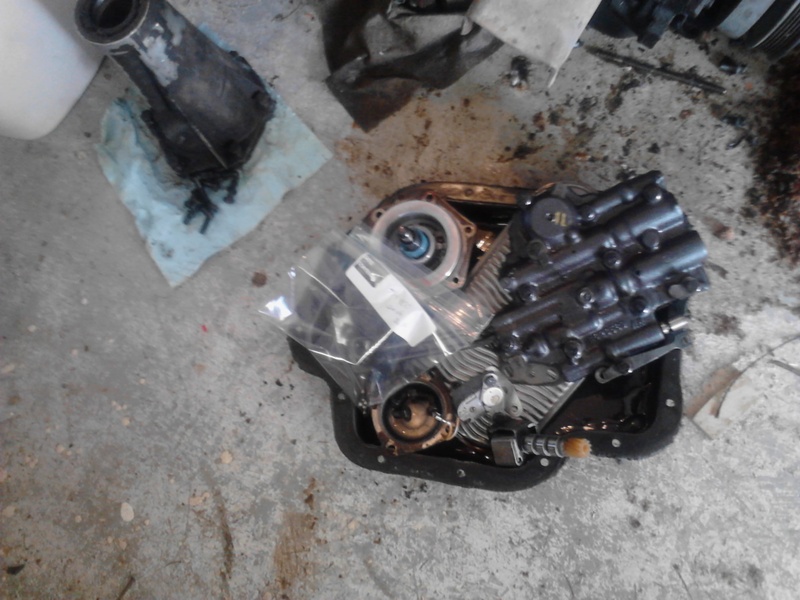 Find More Posts by Sam L.
Alrighty, havn't been able to make progress under the hood because of snow and my lack of garage, and I've been dieing to work on something on my 'bird, so after reading Motobooks's (https://www.thirdgen.org/forums/member.php?u=159642) BEAUTIFUL '84 Trans Am build, I got some inspiration to do some detail work on my car. He had taken his tail lights apart and cleaned and detailed them (https://www.thirdgen.org/forums/member.php?u=159642) <--starting at post #197). I had decided to do this on mine as well, as they were looking dull and not as bright as I'd like. I started with figuring out how to remove the sealant GM had used to join the lens to the housing. Wasn't too hard but I found out the hard way that i was pulling on the wrong end of the first lens and sent a crack straight through the center of it. Since I was halfway expecting to do this I wasn't TOO terribly upset, I'll just have to order a new one. Got both lenses off and checked out the housings. They were dirty as all get out and had cobwebs and other goodies in them. It looked like one bulb had shattered at some point and the hot glass had melted to the housing. Gonna take a dremel tool and take the remainder of the sealant out along with the imperfections. I'm going to sand the inside of the housing and spray it with a higher reflective paint. The car spent a good part of its life in Arizona so the tops of the housings are faded. I plan on touching those up with some new paint. .
After touching up the housings I'm going to polish the lens. Whenever it warms up I'll get all of this done and get some before and after pics. Cool project! As an old Pontiac guy (my first car that wasn't a family hand-me-down was a 72 Trans Am), I think this is a pretty neat undertaking. I've thought about this kind of swap, and think I'd opt for a 455 (same external dimensions as your 400) and a set of Edelbrock RAIV-style heads to save weight. 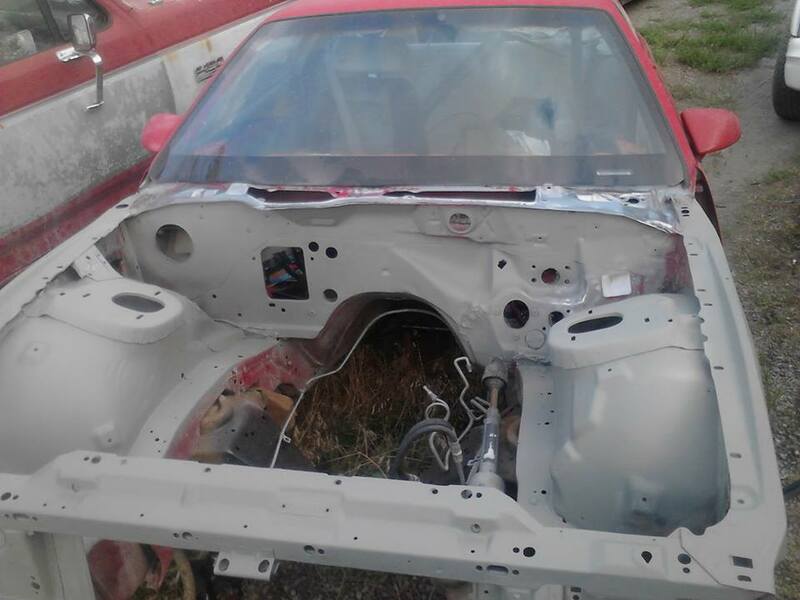 But it IS a cool project, and I can't wait to see everything buttoned up in your ride. It's the first time I see this tread so I wish you get well soon an cool project. Alrighty guys, got some awesome news for my project here! 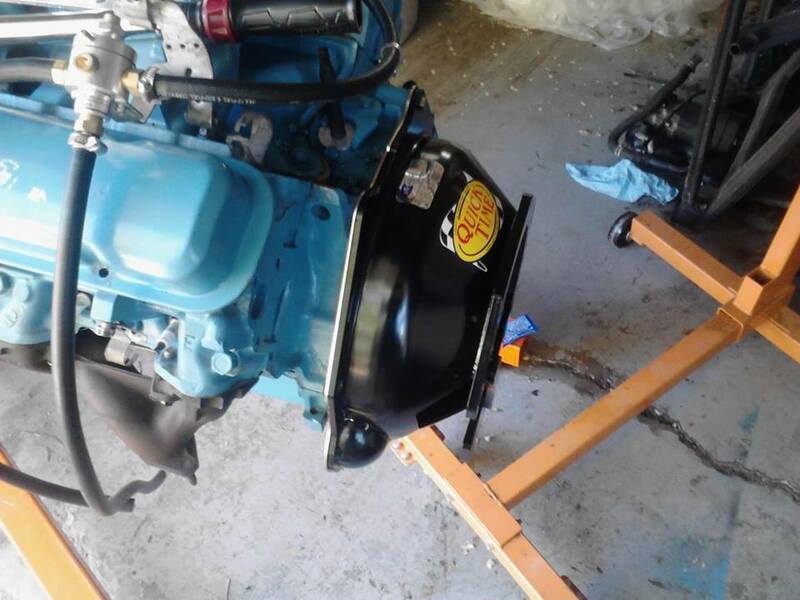 I found a GREAT deal on an LS1 T56! I got it for 800 bucks and the internals look marvelous! I've also been brainstorming on ideas for the car. I decided I'm going to use the ECM from the 3.1 to power the speedometer, as the vehicle speed sensor from the T56 puts out the same signal the original T-5 VSS put out, AND is calibrated for the same rear end ratio as my current setup! This means it'll be a straight forward wiring job . I did want to use the ECM to power the upshift indicator but I don't have a crankshaft position sensor I can use (going to school for automotive is paying off apparently with my knowledge of computer systems :P). If anyone has any ideas for using the ECM to operate cool systems or actuators, let me know, I like a good electrical challenge! Next on my list is a Mcleod bellhousing to mount this bad-jackson up to my 400! Now that the weather is warming up I can finish my center console build and taillights! I look forward to posting again! Glad to see this is working out for you man, I am a littler perplexed why you had to have mounts made though. There are guys here who used the stock lower mounts on the 3rd gen and 2gen fbody engine mounts with no hood clearance issues. Only time I heard of a big clearance issue is if you use a high rise intake like a performer RPM and even then you can slot the 2nd gen mounts to bring it down a bit and weld up the slotted area so it won't move. For exhaust you can use the 2nd gen stock exhaust manifolds.... And it is theorized that 2nd gen fbody specific shorty headers will work just fine too. Summit still sells some they look to clear everything and exit in the right spot. 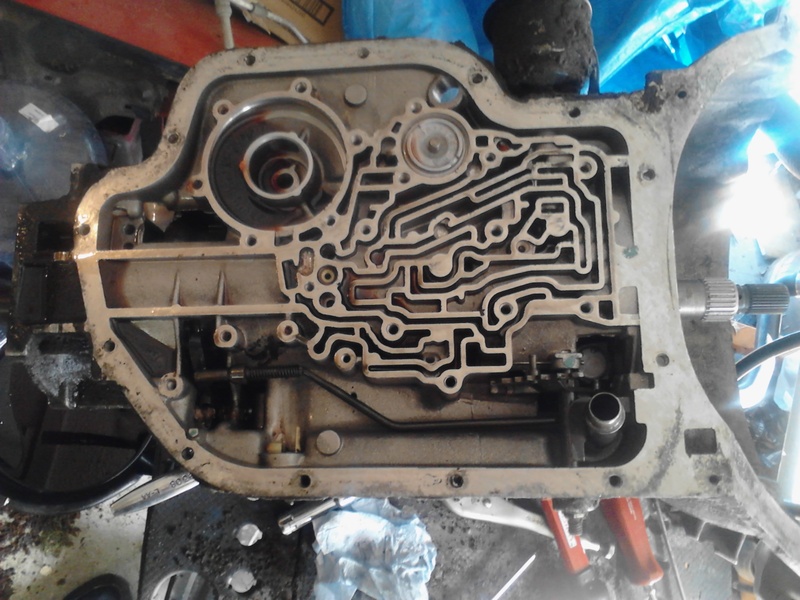 They are basically the same dimensions as RA-IV manifolds which have worked in the past on this swap. Lastly your gonna run into issues with that TH400. Its to big for our trans tunnels and your gonna have to have a custom drive shaft made as well. The (V8) 700R4 will bolt on no issues with a adapter from tci or trans adapt they cost around $100 and you can retain stock driveshaft (or better yet rob a luminum out of a 4th gen). Last edited by Formula_Fire; 03-30-2014 at 04:16 AM. Hope I didn't lose everyone's interest in this project! Been waiting for nearly 2 months for my bellhousing from Quicktime. 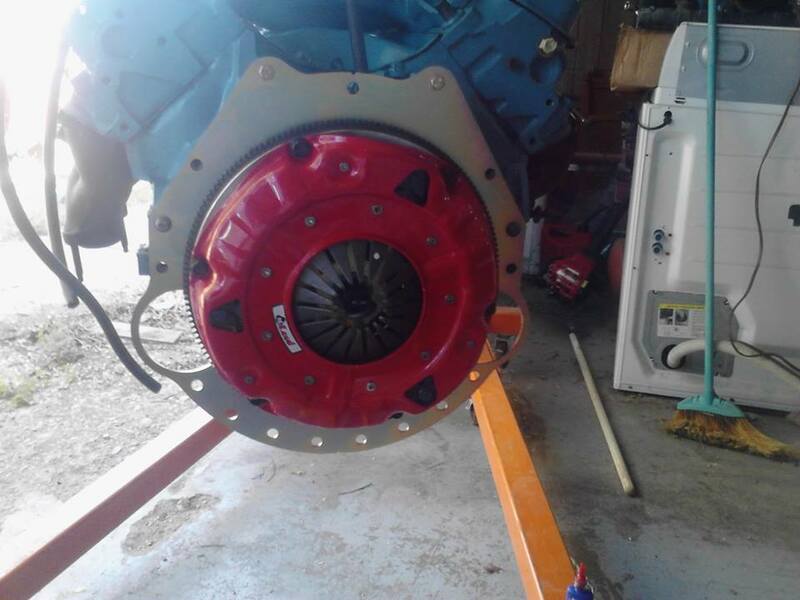 I have the flywheel and clutch ready to go and I should be ready to start putting it all back together. Stay tuned everyone, Quicktime says they expect to ship July 7th! That's what I was saying you shouldn't have to do anything to the mounts. Use the stock third gen lower mounts. 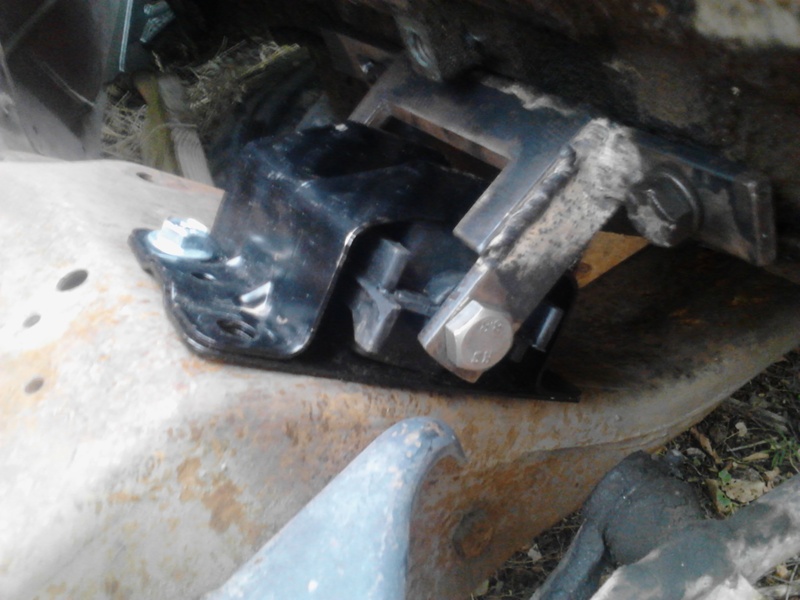 Use the second gen engine side mounts and it should be a bolt in. 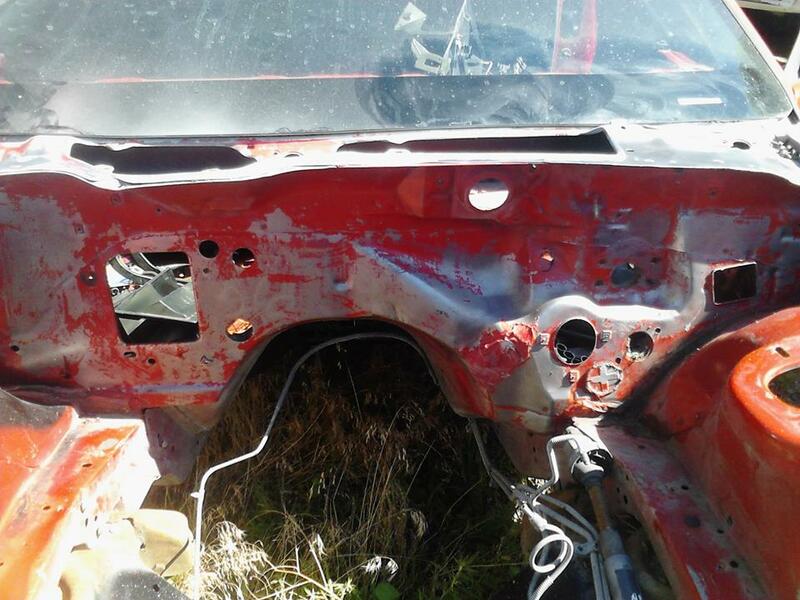 The slotting if you go with a high rise intake to clear a stock hood it to the engine mounts. But if your using a regular intake there should be no iissues and it should sit pretty much where the SBC was in the cradle. ill definitely look into that, thanks . know of any place I can find the engine side mounts? As for my bellhousing, Quicktime pushed back the shipping date another month...again. So I have no clue when I can actually put this together. I'll just be gathering other parts in the mean time. I have a set actually PM if your interested in buying them as I am parting out my pontiac project stuff and have some bolt on goodies as well. IF Quicktime is really messing with you, you might want to check with TCI I know they make a adapter for the 700R4 they might have one for manuals as well. HEELLLOOOOOOOOOOOOOOOOOOOOOOOOOO FELLOW THIRDGENERS!!! . Havn't updated in a good while, but I have made ALOT of progress. Prepare for this thread to be bombarded with pics. 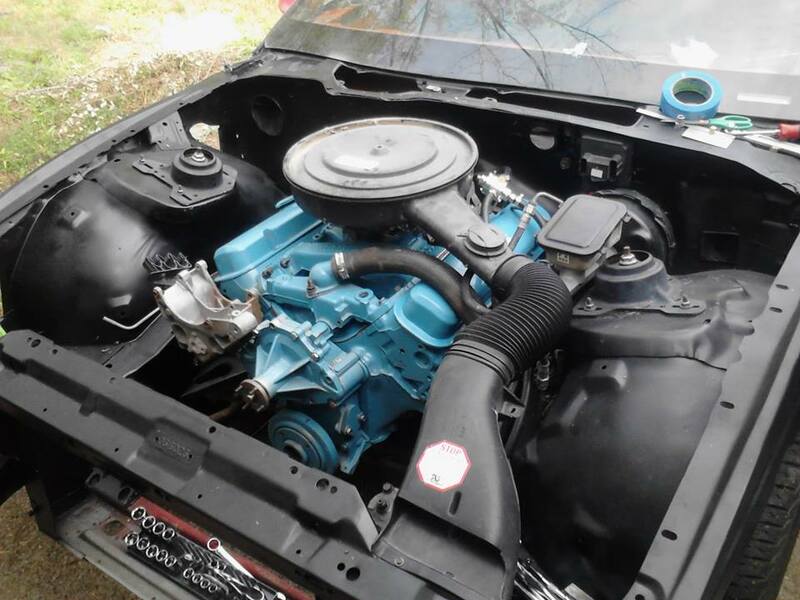 First of all, my motor is original Pontiac Engine Blue, and with the Accel HEI dizzy I put on it has yellow plug wires. Having that against the red bodied engine bay would be just too many bright colors happening in one area IMO. So I decided that semi-gloss black would be a pretty good choice of color. I had started to go the cheap route, as you can tell from this picture, but decided to start fresh. Pulled EVERYTHING out of the engine bay. And then went and bought some Duralast paint stripper. It has the consitancy of drain-o. DONT GET THIS ON EXPOSED SKIN! I FOUND OUT THE HARD WAY . 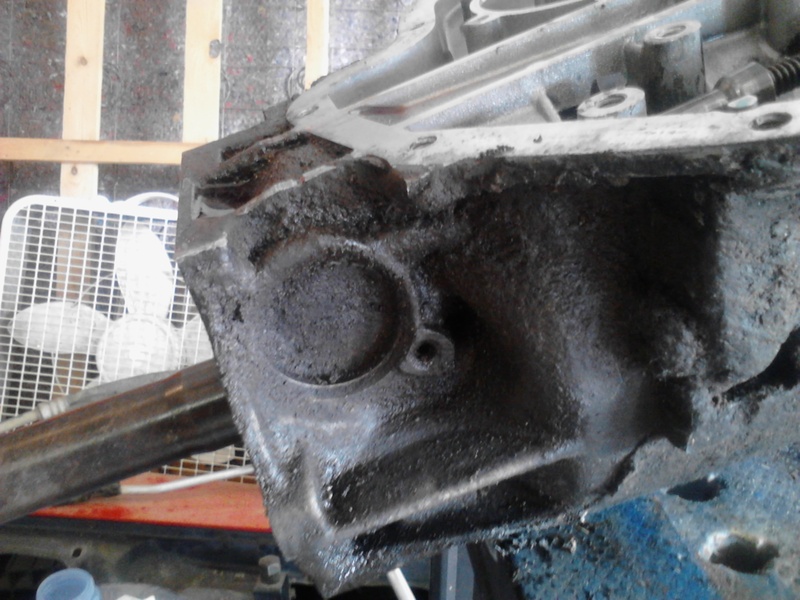 Bought some 2nd gen engine mount brackets and bolted them to the engine mounts, drilled new holes in the engine cradle and bolted this bad jackson down. Carburator hat installed there is no clearance issues with the hood. This is, in a nutshell, the notable progress I've made. Working on the dash, will update again soon. Nice to see the progress! Keep on keeping on! One thing I did forget to mention is that the bellhousing to mate my 400 to the T56 was made to be bolt on.......on cars that came with a 400s....and cars with 400s and manual trannys only came with MECHANICAL CLUTCHES! So when went to test fit the bellhousing to the trans, the slave cylinder was catching on it. At this point I was about to boil over. I marked where the area of material that needed to be milled down. Luckily it only cost me like 40 bucks at a local machine shop to mill out a section of the flange. Fits like a glove now. So anyone who decides to do this exact swap, keep in mind, that the bellhousing to mate these two components are made for original Pontiac cars. 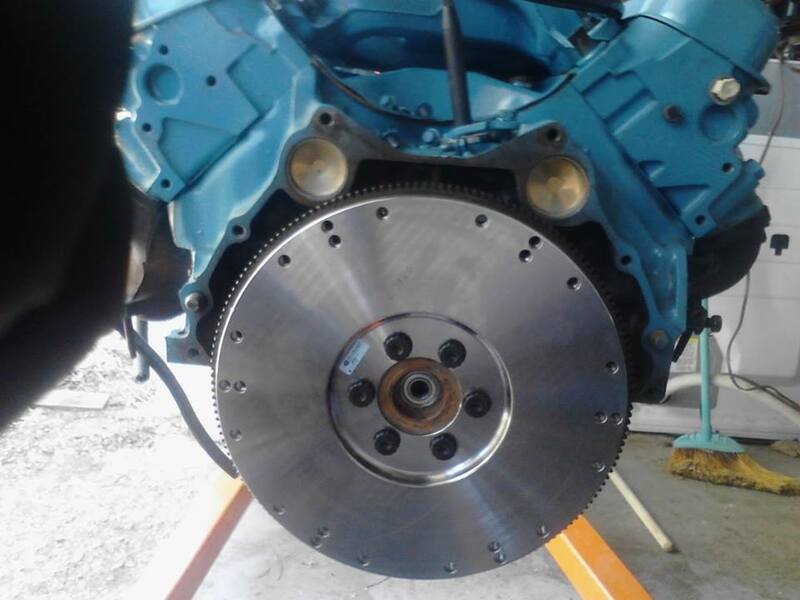 That flywheel and engine installed engine bay picture looks SWEEEET! Great job so far! This was the confirmation I was looking for! When using this motor mount setup, how does your oil filter fit? You know, I honestly don't know as of right now. My remote mount kit didn't adapt right so I left the filter adapter off while installing it. I'll bolt it on tomorrow and let you know. I've been working on the wiring the past week since install, so I've been inside the car all week. Sorry it took so long to get back on this one, I got side tracked by my carpet set coming in . But I went to see if the filter would fit and it BARELY doesn't. I'm using an OE AC/Delco filter and if I had even another 1/2 inch of clearance from the A-arm mount it'd be golden. I'm going to see if I can find a different style filter adapter that'd angle it inwards towards the oil pan a little bit more. The heater/AC unit fits around the engine PERFECT though I recently found out. Still slowly chipping away at this project. I'll update when ever I find time and motivation (and spare available money ) when ever I can.